The five-yearly Congress elects about 370 full and alternate members of the party's elite Central Committee in a session lasting about one week, drawing from a pre-selected pool of candidates expected to be only slightly larger than 370. 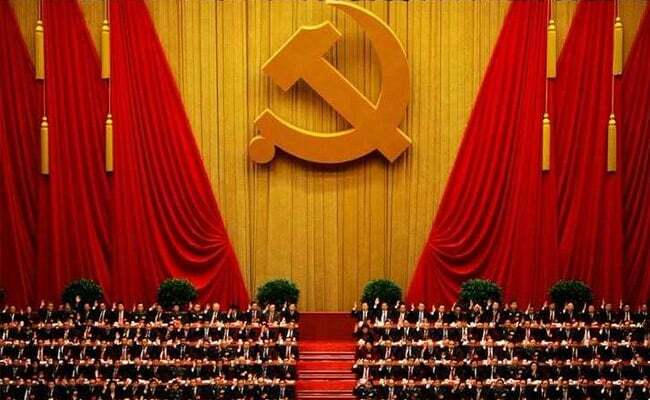 BEIJING: China's ruling Communist Party opens its 19th Congress on October 18, with President Xi Jinping expected to further tighten his grip on power. Here is how the Congress works and some pointers on what is at stake. The new Central Committee's first session, held the day after the congress ends, then selects some two dozen members of the decision-making Politburo, again drawing from a list of candidates already selected by the party's leadership over months of political jockeying. The new Politburo Standing Committee, the party's top echelon of power, which currently has seven members, will then be unveiled after the one-day Central Committee plenum ends. A series of other appointments will also be made over the congress period. These include provincial party chiefs and governors and heads of some state-owned enterprises. President Xi will keep his position as general secretary of the party, but there is much uncertainty about who else will get onto the Standing Committee, including whether Wang Qishan, who has overseen President Xi's crackdown on corruption, will be allowed to remain in some role despite reaching retirement age. President Xi will give a keynote report to the opening session of the Congress, appraising the party's work over the past five years and mapping out challenges for the coming five years. Details of the speech remain a closely guarded secret ahead of time. The Congress is more about ideology than concrete policies, and one area of focus will be to see how the fight against corruption may change in the next five-year term. The party's constitution will be amended at the end of the Congress, likely to include a reference to President Xi's thinking or ideology as a guiding party principle, joining Mao Zedong and the reformist former leader Deng Xiaoping, whose names are already enshrined in the document. State media have not said how long the Congress will last, but the 18th Congress in 2012 went on for about a week. The delegates will convene at Beijing's cavernous Great Hall of the People for full sessions, but most group meetings - where delegates will discuss President Xi's report and the list of candidates, will take place behind closed doors at the Jingxi Hotel in western Beijing. The party was founded at the first congress in Shanghai in 1921 when 13 delegates, including a young Mao Zedong, represented the fewer-than 60 Marxist activists nationwide. The party swept to power in the 1949 revolution after a bloody civil war. The 19th Congress is a gathering of China's most powerful people: incumbent state leaders, cabinet ministers, top military generals, provincial party chiefs and governors, mayors of major cities as well as managers of large state-controlled enterprises and banks. A total of 2,287 delegates were selected to attend this year's Congress, from all walks of life and including representatives from every ethnic minority. The average age of the delegates is just under 52 and a quarter of the delegates are women. The party has more than 89 million members. The party says the delegates were chosen for their high moral and political standing, ability to get things done and achievements in their areas of work. A third come from the grassroots, being workers or farmers. Celebrity delegates include the astronaut Jing Haipeng and Zhao Yunlei, a women's badminton Olympic gold medallist. The oldest delegate is the 102-year-old Jiao Ruoyu, who joined the party in 1936.